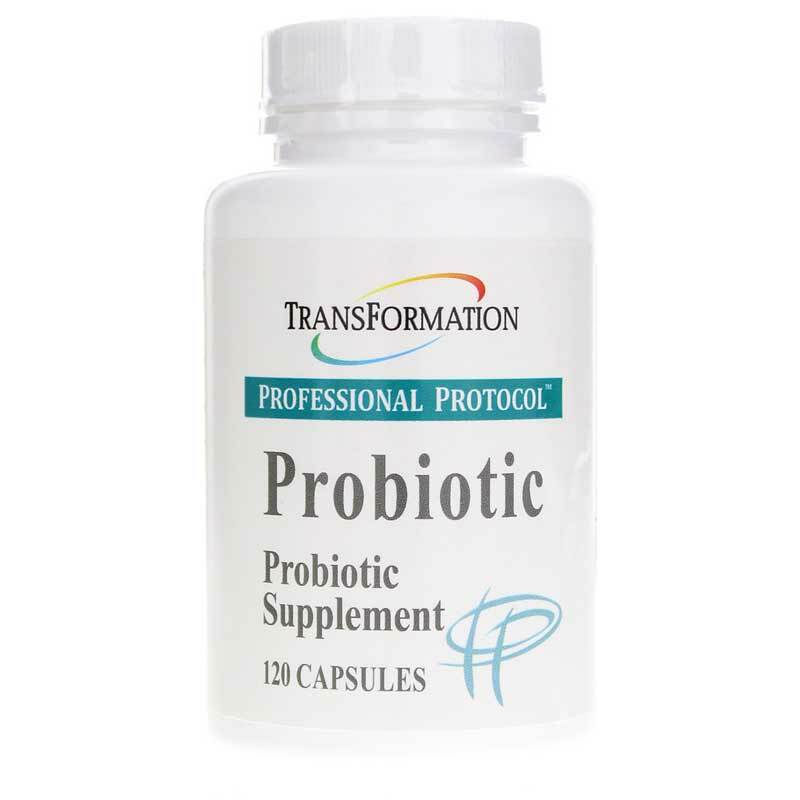 TPP Probiotic by Transformation Enzyme is a natural probiotic supplement that contains a carefully mixed selection of microorganisms that are friendly to the human GI tract. The organisms in this product will help stabilize and maintain a healthy intestinal probiotic ecosystem. Other Ingredients: Vegetarian Capsules (cellulose and water). Adults: Take one (1) capsule upon arising and/or at bedtime. Drink at least 8 oz. of water with each dosage. If you have difficulty swallowing capsules, then remove contents from capsule, mix with a small amount of tepid water, and ingest immediately. Dosage may be increased according to need as directed by your health care professional. Refrigerate for optimum activity. 1. Salminen, S. & Salminen, E. +óGé¼+ôLactulose, lactic acid bacteria, intestinal microecology and mucosal protection+óGé¼-¥ Scand J Gastroenterol Suppl 1997; 222: 45-8. 2. Olasupo, W.A. +óGé¼+ôBacteriocins of Lactobacillus plantarum strains from fermented foods+óGé¼-¥ Folia Microbiol 1996; 41: 130-136. 3. Adawi, D., et al. +óGé¼+ôEffect of Lactobacillus supplementation with and without arginine on liver damage and bacterial translocation in an acute liver injury model in the rat+óGé¼-¥ Hepatology 1997; 25: 642-7. 4. Schiffrin, E.J. et al. +óGé¼+ôImmune modulation of blood leukocytes in humans by lactic acid bacteria: criteria for strain selection+óGé¼-¥ Am J Clin Nutr 1997; 66: 515S-20S. 5. Rangavajhyala, N. et al. +óGé¼+ôNonlipopolysaccharide component(s) of Lactobacillus acidophilus stimulate(s) the production of interleukin-1 alpha and tumor necrosis factor-alpha by murine macrophages+óGé¼-¥ Nutr Cancer 1997; 28: 130-4. 6. Sekine, K. et al. +óGé¼+ôInhibition of initiation and early stage development of aberrant crypt foci and enhanced natural killer activity in male rats administered bovine lactoferin concomitantly with azoxymethane+óGé¼-¥ Cancer Lett 1997; 121: 211-6. 7. Takahashi, T. et al. +óGé¼+ôEffects of orally ingested Bifidobacterium longum on the mucosal IgA response of mice to dietary antigens+óGé¼-¥ Biosci Biotechnol Biochem 1998; 62: 10-15. 8. McClellan, K.A. +óGé¼+ôMucosal defense of the outer eye+óGé¼-¥ Surv Ophthalmol 1997; 42: 233-46. 9. Teraguchi, S. et al. +óGé¼+ôOrally administered bovine lactoferrin inhibits bacterial translocation in mice fed bovine milk+óGé¼-¥ Appl Environ Microbiol 1995; 61: 4131-4. 10. Roberfroid, M.B. +óGé¼+ôHealth benefits of non-digestible oligosaccharides+óGé¼-¥ Adv Exp Med Biol 1997; 427: 211-9.